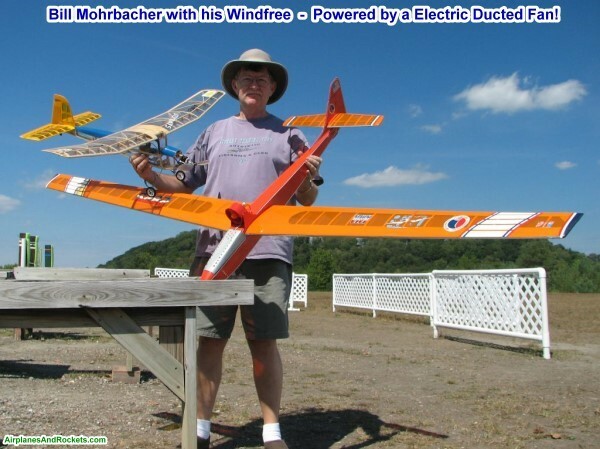 Check out Bill Mohrbacher with his Marks Models Windfree - Powered by a Electric Ducted Fan! 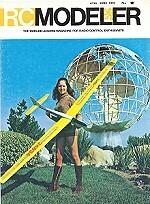 Bill's legs aren't quite as nice as the young lady's on the RF Modeler cover! As with a lot of my models, there never was a photo of my Marks Models Windfree. The first Windfree I ever saw was while visiting my aunt and uncle in West Seneca, New York, while my family and I were there on vacation one summer. Their house was in a neighborhood that was just a couple blocks away from a high school and junior high school with huge, adjoining athletic fields. Back in the early 1970s, the public schools did not have their fields cluttered with a lot of structures for soccer and every other variety of sport. They were lucky to have a set of goal posts for a football game. Anyway, I was out in my aunt and uncle's back yard when I looked up and saw what appeared to be a radio controlled airplane flying silently through the sky. 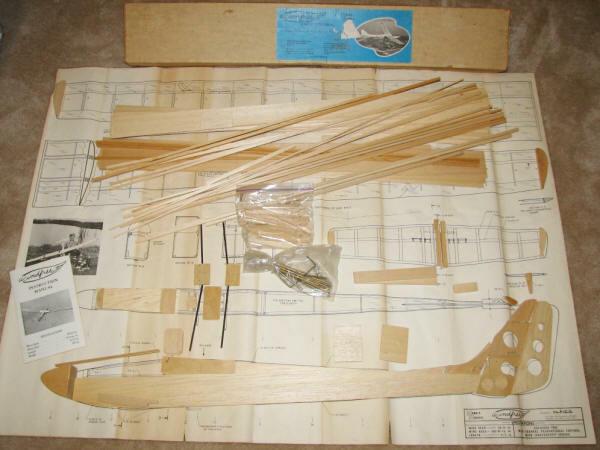 At the time, I could only have dreamed of owning a "real" RC plane and radio. In fact, I had very recently purchased a used OS Digital 3-channle remote control system from a man that lived down the road from me, and did not even have an airplane for it. So, I beat feet down the road in search of its pilot. I eventually ended up at the high school, where the guy was standing with his shiny Kraft 2-channel RC system. He said that the Windfree had bee airborne for over 30-minutes when I got there. Once he landed, he popped off the canopy to show me the radio compartment. It had one of those old "brick" combos that combined two servos and the receiver into a single unit. Come to think of it, something like that would be kind of convenient today. Mark Smith was pictured in this article in the July 1975 issue of Model Aviation magazine. He hooked the Windfree onto his HiStart bungee launcher and off it went again. I was thrilled to personally witness such a spectacle. 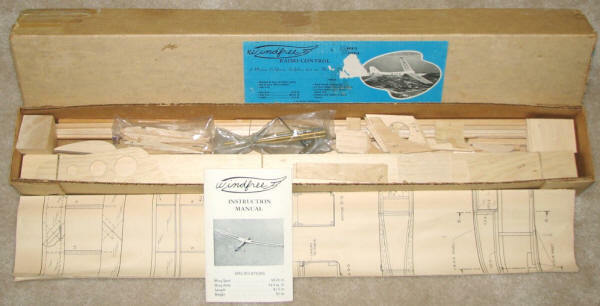 About a year later, I has saved enough money from my paper route to buy a Marks Models Windward sailplane. Unlike the Windfree which has a 99" wingspan, the Windward had a more modest 72" wingspan. A few years later I bought a Windfree kit. Just as with the Windfree, it was of very sparse construction and had virtually no strength until the Monokote was applied. It must have been good enough because a lot of people were flying them and winning contests. Mine did not last long with my unrefined flying (mainly landing) skills. 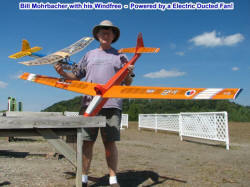 The photo at the right is of Mark Smith holding his contest-winning Windfree glider. Here is a source for a laser-cut Windfree kit.